Thank you! Thank you for praying, giving, serving with us. We truly believe the harvest is great, and the workers are few. You are sharing with us in the Harvest, and the reward is great. We pray for you often and are asking God to bless you with His heart for the people around you. We could not be doing what we are doing without you, and we believe there is a reward for those who plant and water, sow and reap in His Kingdom. Thank you! Our life has been busy as we transition into another season. We have moved into a friend’s basement in North Minneapolis as we continue work on the 810 Project. The house is only about 2 miles away from the project, and it is such a blessing to live so close and in Godly community as we seek the Lord for our neighborhood. The kids have started school and the routine is awesome for them. We are blessed with a great school and Godly teachers. Blessings are abounding on the project! We’ve had a contractor friend donate over $500 of his time and energy toward repairing some structural sagging in the home. He spent several hours with me at the city offices helping me get permits, then several more hours helping me install 2 headers upstairs and down. Thank God! I could not have done this on my own. God is so faithful. 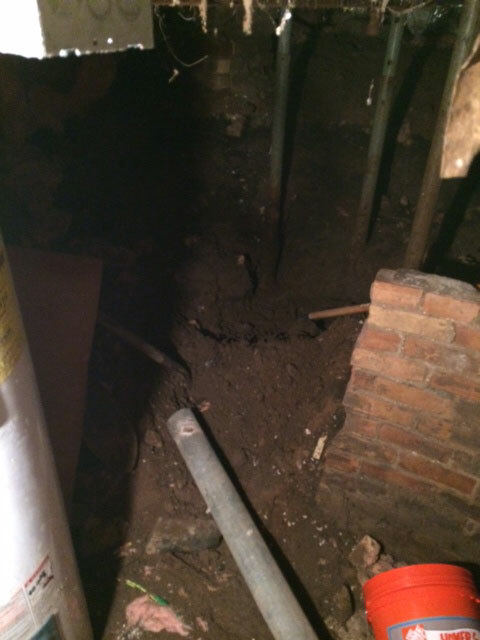 I am still digging out some of the crawl space to secure more of the foundation flooring, so you could pray for diligence on my part with that. It isn’t the most fun job I’ve ever had. We’ve had another Godly friend offer to redo the wiring for only $900! Previous bids had come in at around $5,000 so this is an amazing donation. We need $300 to get started with that. Would you pray for the money to get started with the wiring? ***UPDATE: After our support letter came out, a work colleague/friend called and offered to cover the entire cost of the wiring. PRAISE GOD AND THANK YOU!!! We’re developing a relationship with Antioch ministries in North Minneapolis (www. antiochnorth.com). Antioch runs a weekly program for youth in N. Mpls and they have a neighborhood home about 4 blocks away. Every Thursday, we will be bringing kids and volunteering in their home for Bible study, games, dinner, and homework help. Will you pray about becoming a volunteer with us? We want to develop relationships that last with these children. These children are orphans. Many come from families with 1 parent and different groups of siblings. There is one child on our block in particular that I would ask you to pray for. Her name is Rachel(changed). She is the daughter of a lady who re-dedicated her life to the Lord on my block last month. The family is having difficulty weeding out unrighteousness and it is causing problems all over the place. Rachel and her sister were supposed to come with me to Antioch the last two Thursdays, but were prevented through some crazy behavior going on with several adults coming in and out of their home. She has a sincere heart for Jesus. It makes me sad and angry how Satan looks to kill, steal and destroy our love for Christ. Christ is all we need. He is water in a desert. Please pray that God will come in like a flood and raise up a standard against this evil in this home. I want her to walk in the fullness of God’s love for her and I believe that God has an amazing destiny for her. Prayer changes everything. We are realizing more and more and more our absolute NEED for Christ. 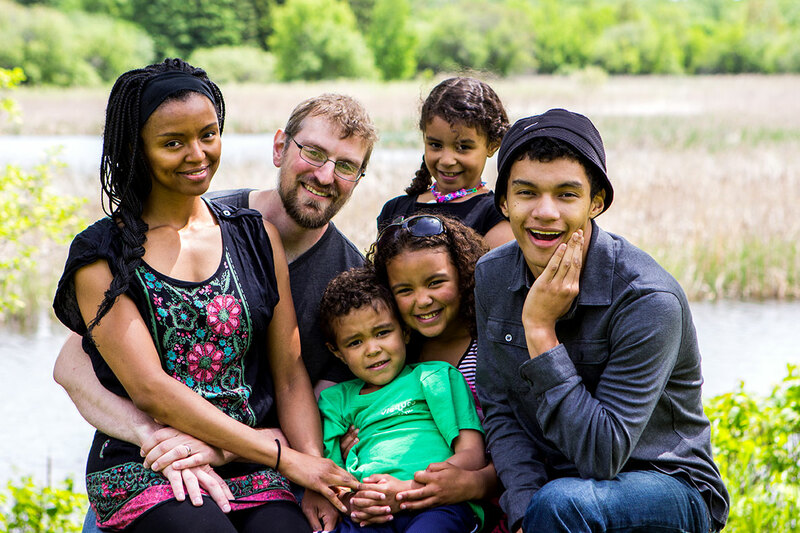 We’ve taken a risk and a dramatic change in direction for our family’s future. We know we will make mistakes along the way and are doing our absolute best to stay in love with Christ along the journey. We need the support of our friends and family to make it. Our marriage verse was: “blessed are those who set their hearts on pilgrimage…from well to well you will be their strength.” Ps 84 [paraphrase]. We are seeing this verse as being more and more prophetic for us. The scripture talks about establishing a house of worship to the Lord and paints a picture of a journey through a desert. Along the way, the traveler turns valleys of weeping into springs of joy. I always picture the traveler plodding along until the next well, and then receiving enough refreshment for a few more steps. For us, the refreshment is fellowship with Christ. We are on a journey to establish a house of worship, prayer and discipleship in the city. It isn’t an easy road, but each well of fellowship, worship, scripture, and evangelism is like a stream in the desert to our soul. Would you please pray for wisdom for Miah and I as we seek the Lord about His will for this work? We never want our ministry to be about a ‘project’. The 810 project is not about the house. It’s about establishing relationships and a place where people can meet God. I don’t want to lose sight of that. The most important thing I can do with my time is stay connected to the vine of Jesus Christ. When we stay connected, ministry happens. 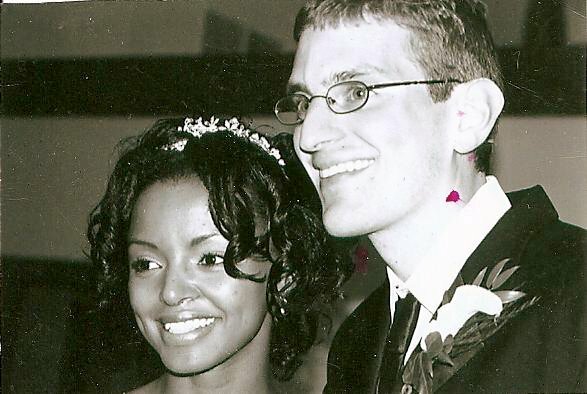 Last month was our 11-year anniversary. The night before we were out for dinner and fellowship with friends. While we were sitting outdoors at Chipotle, I noticed a lady sitting across the pond. She sat there so long and so still that I began to think it might be a prop or manikin of some sort. I decided to go check it out for myself and met Amanda. She was waiting for a friend to get off work. As we began chatting, I simply asked when the last time she had a conversation about God was. She answered 10 years ago…just before she left the church. As it turns out, she was never confirmed at her Lutheran church and was now wondering if God was actually real or not. She allowed me to share my testimony and pray for her. I had an evangelistic CD in my car from Trinity Works called Real Love, which shares people’s testimonies of how they found God to be real. When she received it she said, “I’m actually really excited to listen to this,” and was sincerely grateful for our conversation and prayer. I trust God will continue to work in her life. Pray for her! She didn’t bat an eye and said, “yeah, I’ve been wondering about that.” She’s been trying to figure God out, but didn’t know how and didn’t know why Jesus had to die. We got to share the Gospel with her for over 10 minutes. My wife prayed with her as her co-worker came over to hear more too. These are streams in the desert for us. God’s presence and sharing His goodness is like water in a dry place for our soul. Yes, the way is hard. But times like these make it so worth it! The joy in obeying Christ is more precious than any reward or earthly present I could dream of. There is true fellowship in obeying His word. There are true riches and joy in following Him, and choosing to walk with Him every day of our life. Thank you so much for joining us on this journey. We love you all so much and are excited to see where this journey takes us together! Would you consider becoming a prayer partner for our ministry? We are looking to build a prayer network of up to 100 people who would partner with us in prayer. We are asking that you would commit to pray for us as often as you can, and that you would pray for the spiritual soil in North Minneapolis to be plowed, fertile, and ready to receive the seeds of the Gospel we will be spreading. We will be doing outreach every Thursday, and leading kids Bible studies every Thursday night, if you could particularily cover us during these times. If you would consider partnering in prayer, please email me at: tvdaniels@hotmail.com and let us know! We’d like to send you more frequent email updates. For those that feel led to give financially to the project, you can do so online at www.damascusway.com. Just mark the 810 Project from the dropdown menu. Takin it to the Streets!